between nature and the man-made. works, river mud and forest debris have charted changes slowly on canvas. 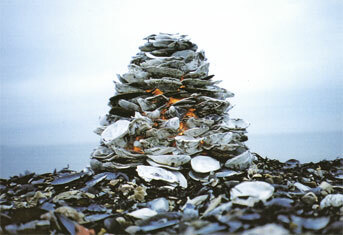 2003; and was lead artist for Four Shores, a project on the Isle of Sheppey. Work from the Seafort Project was shown in 'Theatrum Mundi; performance architecture', at the Northern Gallery for Contemporary Art in Sunderland December 2006 - February 2007.